Srinagar: India on Thursday suspended trade ties with across the line of control because of prolonged ceasefire violation. The deputy commissioner of Baramulla, after consulting the trade officials, called off business exchanges on the Srinagar-Muzaffarabad route after Pakistan resorted to unprovoked firing for 14 hours. The volume of the trade, which happened according to the barter system, depended on the two countries. The goods, which were bought from Pakistan, were unloaded at the trade facilitation centre near Uri. The trade in 16 items, including fruits, dry fruits, vegetables, carpets and spices started in 2008 and was valued at Rs 5,000 crore. 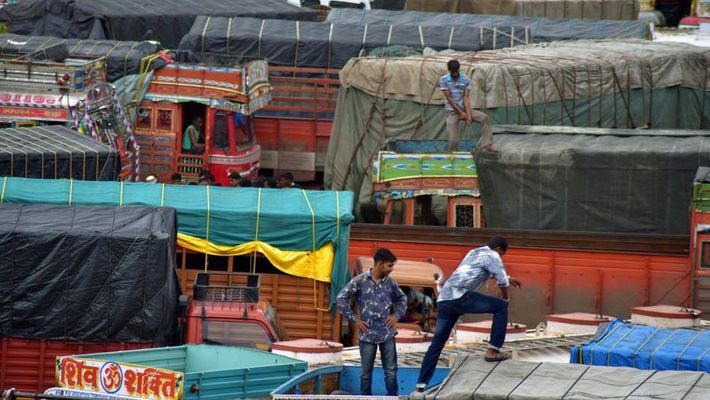 As part of the cross-LoC trade, around 30-35 trucks used to move from the Indian side to Pakistan Occupied Kashmir as part of confidence building measures with the neighbouring country. The ceasefire violation took place along the LoC in the Uri sector of north Kashmir's Baramulla district. Indian authorities took the decision on Thursday morning and informed Pakistan. The Pakistani Army on Wednesday afternoon started firing on Indian Army posts. Two jawans were injured. Pakistan violated the ceasefire again on Thursday along the LoC in the Machil sector, following which the Indian Army retaliated.